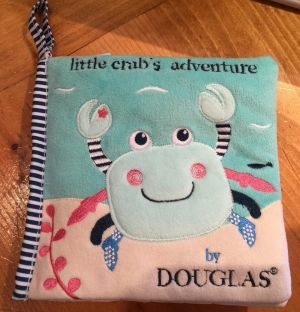 Story time with Mr. Crab is a squeaky, crinkly fun time! Each soft, plush page of the Crab Activity Book has colorful flaps, tags and an unbreakable mirror! Perfect new baby gift. Surface washable, measures 6"x6".